Study Revisits Chrysotile: Why Is This Still a Debate in 2013? Study Revisits Health Risk of Chrysotile: Why Is This Still a Debate in 2013? Asbestos use in general is heavily controversial, but no singular aspect has been as hotly debated as the safety of chrysotile or the lack thereof. Even now, more than 40 years after Denmark enacted the world’s first ban on asbestos products, we’re still discussing whether or not we can “safely” utilize chrysotile fibers. A few organizations insist that chrysotile isn’t dangerous to human health. Some agencies maintain that it is hazardous, but on a less serious level than amphibole asbestos. Still others hold fast to the belief that all forms of asbestos are equally dangerous and should be banned across the board. Naturally, the organizations most excited to debate it are those with links to the chrysotile industry. This particular study was authored by Dr. D. M. Bernstein, a Swiss “consultant in toxicology.” Bernstein has repeatedly accepted funding from the Quebec Chrysotile Institute to publish studies that downplay the risks of the fibers. The study began by discussing the unique ways that the different forms of asbestos break down once they are inside the body. Bernstein maintains that amphibole fibers maintain their original structure, while chrysotile fibers break down into smaller particles that are not as likely to trigger cancerous developments. He also referenced studies that illustrated the body’s ability to rid itself of chrysotile asbestos. The toxicity studies he chose demonstrated that when the lungs were not overloaded, the body was able to clear out the longest fibers (those over 20 micrometers in length) with relative ease. The research he cited also indicated that unlike amphibole asbestos, chrysotile fibers did not progress to the pleural cavity (where mesothelioma most commonly develops). View all of our free patient resources that can help you or a loved one gain an advantage over this condition. While it’s important to keep the spotlight on asbestos-related research, Bernstein’s article didn’t present any new information on the health risk of using chrysotile. In fact, it went against the widely accepted concept that any exposure to any form of asbestos can pose a health hazard. Even if Bernstein’s skewed research was accurate in the sense that lower exposures are less dangerous, that doesn’t mean that it’s safe, either. This makes health officials wonder: in 2013, why are we still having this discussion? 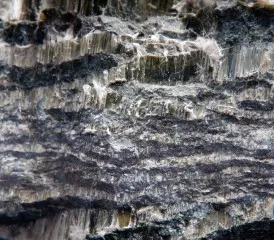 The International Labor Organization, National Cancer Institute, World Health Organization and World Trade Organization have all confirmed that chrysotile is indeed different from amphibole forms of asbestos like crocidolite in its chemical structure, but that it is still a serious carcinogen. The asbestos industry will always use their influence (and funds) to produce studies in favor of ongoing chrysotile use. And so far, it’s working: The Chrysotile Institute estimates that the United States consumes around 13,000 metric tons of chrysotile per year. That figure doesn’t even include the chrysotile-laden cement pipes and sheets that we import. It’s hard to wrap your mind around this use in light of the easily available  and often highly sophisticated  alternatives. Companies have access to ceramic foam, plastic flour and specialized forms of polyurethane foam that provide many of the same benefits of asbestos without the health hazards. True, they are more expensive, and choosing them over asbestos would cut down on profit margins. But even if there’s the slightest chance that chrysotile can cause cancer, shouldn’t that be enough to stop the arguments and start promoting alternatives?